This is “Inflation and Unemployment”, chapter 16 from the book Macroeconomics Principles (v. 2.0). For details on it (including licensing), click here. As the twentieth century drew to a close, the people of the United States could look back on a remarkable achievement. From 1992 through 2000, the unemployment rate fell every year. The inflation rate, measured as the annual percentage change in the implicit price deflator, was about 2% or less during this period. 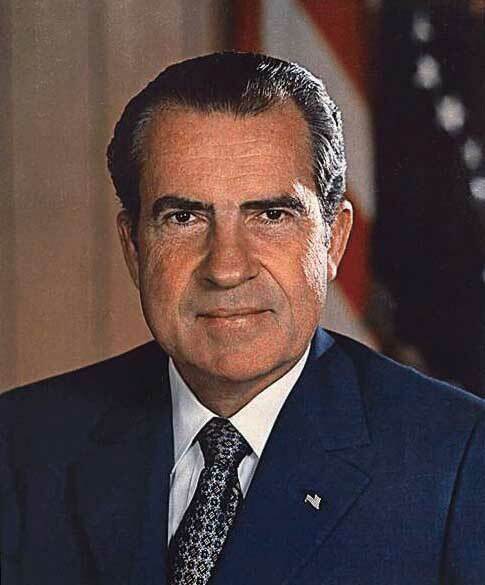 The dramatic reduction in the two rates provided welcome relief to a nation that had seen soaring unemployment early in the 1980s, soaring inflation in the late 1970s, and painful increases in both rates early in the 1970s. “Incoming data suggested a weaker near-term outlook for economic growth, but the Committee’s earlier policy moves had already reduced the target federal funds rate by 225 basis points to address risks to growth, and the full effect of those rate cuts had yet to be felt. … Both Messrs. Fisher and Plosser were concerned that inflation expectations could potentially become unhinged should the Committee continue to lower the funds rate in the current environment. They pointed to measures of inflation and indicators of inflation expectations that had risen and Mr. Fisher stressed the international influences on U.S. inflation rates. Mr. Plosser noted that the Committee could not afford to wait until there was clear evidence that inflation expectations were no longer anchored, as by then it would be too late to prevent a further increase in inflation pressures.”Minutes of the Federal Open Market Committee March 18, 2008. We have examined the inflation and unemployment experience in the United States during the past half century. Our task now is to explain it. We will apply the model of aggregate demand and aggregate supply, along with our knowledge of monetary and fiscal policy, to explain just why the economy performed as it did. We will find that the relationship between inflation and unemployment depends crucially on events, macroeconomic policy, and expectations. 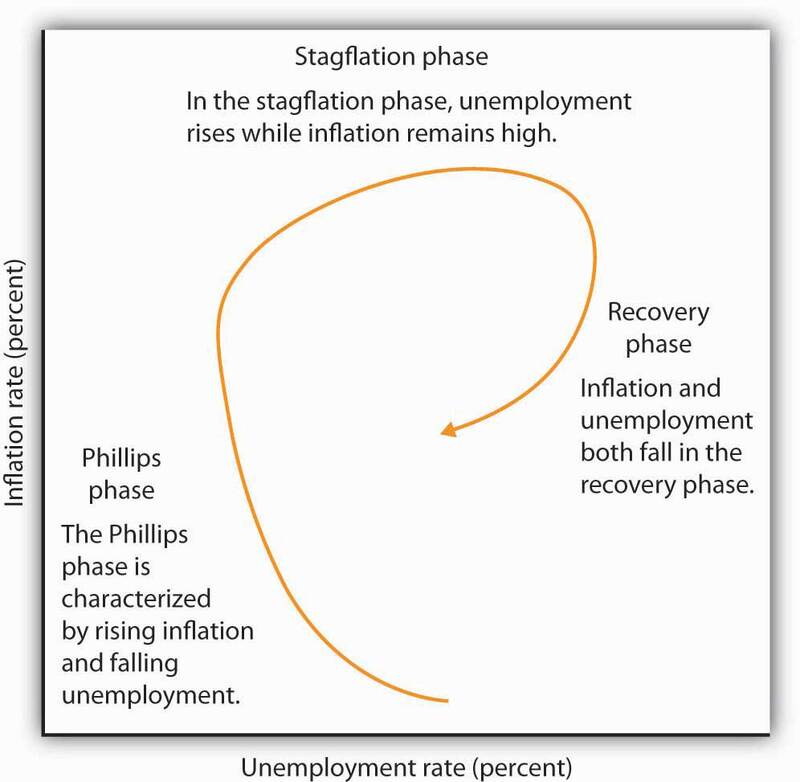 The next three sections discuss the pattern that unfolded from the 1970s through the 1990s in which stagflation and then recovery followed Phillips phases. We will also look at the behavior of the economy in the first decade of the 21st century. Each phase results from a specific pattern of shifts in the aggregate demand and short-run aggregate supply curves. It is important to be careful in thinking about the meaning of changes in inflation as we examine the cycle of inflation and unemployment. The rise in inflation during a Phillips phase does not simply mean that the price level rises. It means that the price level rises by larger and larger percentages. Rising inflation means that the price level is rising at an increasing rate. In a recovery phase, a falling rate of inflation does not imply a falling price level. It means the price level is rising, but by smaller and smaller percentages. Falling inflation means that the price level is rising more slowly, not that the price level is falling. 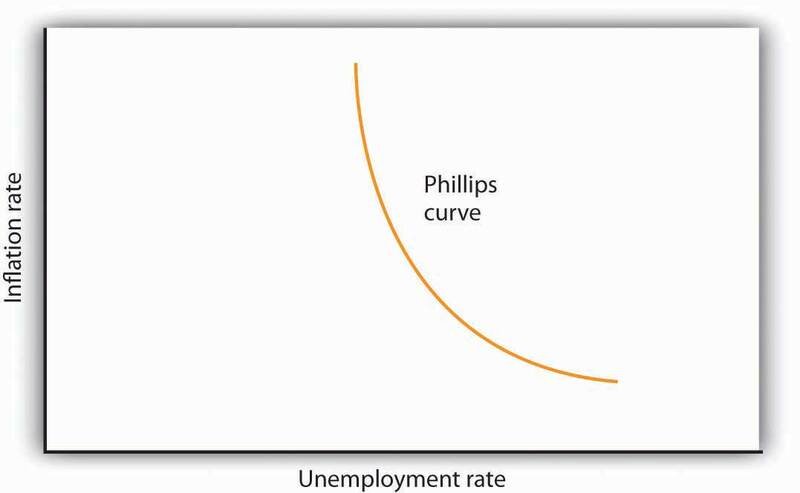 As we saw in the last section, the Phillips phase of the inflation-unemployment relationship conforms to the concept of a short-run Phillips curve. It is a period in which inflation tends to rise and unemployment tends to fall. Figure 16.6 "A Phillips Phase" shows how a Phillips phase can unfold. Panel (a) shows the model of aggregate demand and aggregate supply; Panel (b) shows the corresponding path of inflation and unemployment. 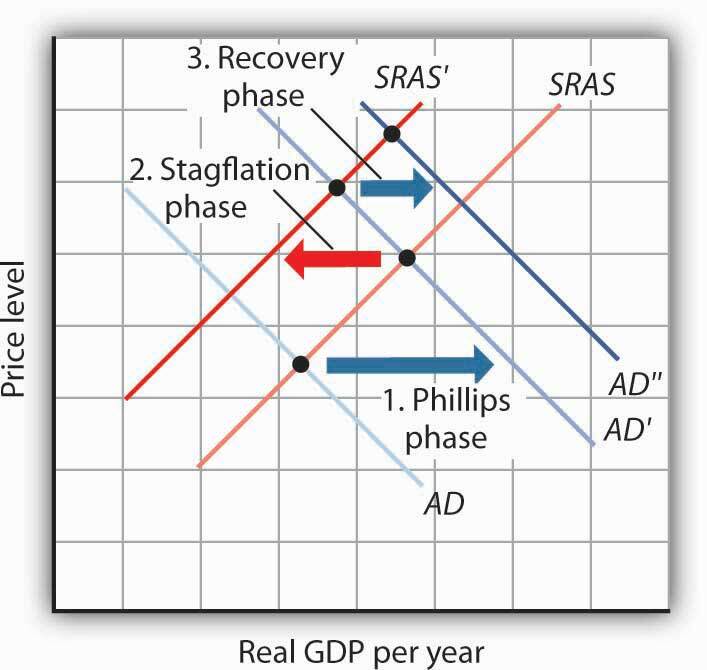 A Phillips phase is marked by increases in aggregate demand pushing real GDP and the price level up along the short-run aggregate supply curve SRAS1,2,3. The result is rising inflation and falling unemployment. The points labeled in Panels (a) and (b) correspond to one another; point 1 in Panel (a) corresponds to point 1 in Panel (b), and so on. We shall assume in Figure 16.6 "A Phillips Phase" and in the next two figures that the following relationship between real GDP and the unemployment rate holds. In our example, the level of potential output will be $1,000 billion, while the natural rate of unemployment is 5.0%. The numbers given in the table correspond to the numbers used in Figure 16.6 "A Phillips Phase" through Figure 16.8 "The Recovery Phase". Notice that the higher the level of real GDP, the lower the unemployment rate. That is because the production of more goods and services requires more employment. For a given labor force, a higher level of employment implies a lower rate of unemployment. Impact lags mean that expansionary policies, even those undertaken in response to the recessionary gap in Periods 1 and 2, continue to expand aggregate demand in Period 3. In the case shown, aggregate demand rises to AD3, pushing the economy well past its level of potential output into an inflationary gap. Real GDP rises to $1,090 billion, and the price level rises to 1.045 in Panel (a) of Figure 16.6 "A Phillips Phase". The increase in real GDP lowers the unemployment rate to 2.0%, and the inflation rate rises to 2.5% at point 3 in Panel (b). Unemployment has fallen at a cost of rising inflation. As we saw in the chapter introducing the model of aggregate demand and aggregate supply, increases in nominal wages and in prices that were sticky will shift the short-run aggregate supply curve to the left. Such a shift is illustrated in Panel (a) of Figure 16.7 "A Stagflation Phase", where SRAS1,2,3 shifts to SRAS4. The result is a shift to point 4; the price level rises to 1.075, and real GDP falls to $970 billion. The increase in the price level to 1.075 from 1.045 implies an inflation rate of 2.9% ([1.075 − 1.045] / 1.045 = 2.9%); unemployment rises to 6.0% with the decrease in real GDP. The new combination of inflation and unemployment is given by point 4 in Panel (b). In a stagflation phase, workers and firms adjust their expectations to a higher price level. As they act on their expectations, the short-run aggregate supply curve shifts leftward in Panel (a). The price level rises to 1.075, and real GDP falls to $970 billion. The inflation rate rises to 2.9% as unemployment rises to 6.0% at point 4 in Panel (b). The essential feature of a stagflation phase is a change in expectations. Workers and firms that were blindsided by rising prices during a Phillips phase ended up with lower real wages and lower relative price levels than they intended. In a stagflation phase, they catch up. But the catching up shifts the short-run aggregate supply curve to the left, producing a reduction in real GDP and an increase in the price level. 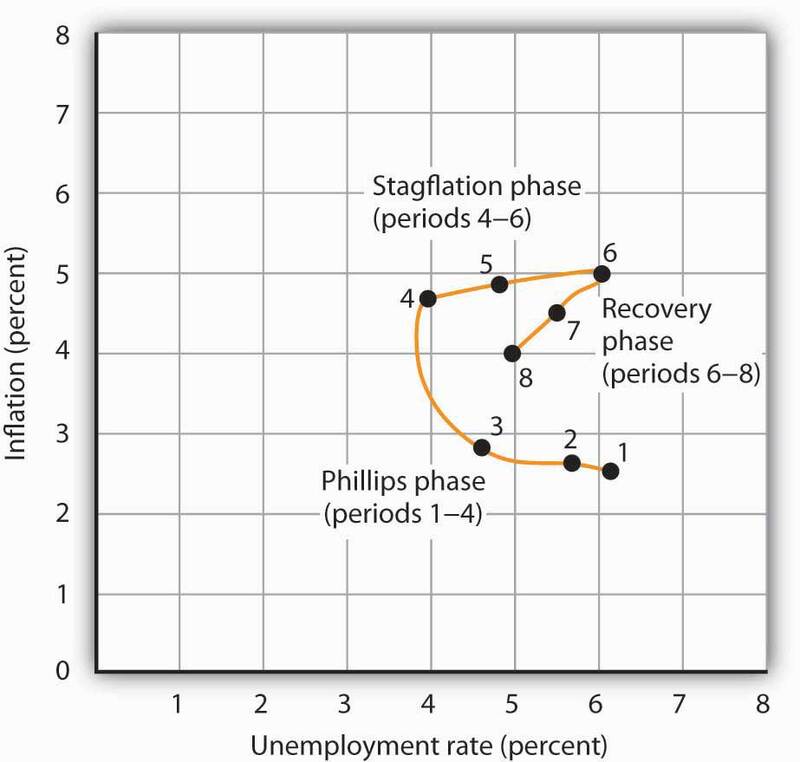 The stagflation phase shown in Figure 16.7 "A Stagflation Phase" leaves the economy with a recessionary gap at point 4 in Panel (a). The economy is bumped into a recession by changing expectations. Policy makers can be expected to respond to a recessionary gap by boosting aggregate demand. That increase in aggregate demand will lead the economy into a recovery phase. Figure 16.8 "The Recovery Phase" illustrates a recovery phase. In Panel (a), aggregate demand increases to AD5, boosting the price level to 1.09 and real GDP to $1,060. The new price level represents a 1.4% ([1.09 − 1.075] / 1.075 = 1.4%) increase over the previous price level. The price level is higher, but the inflation rate has fallen sharply. Meanwhile, the increase in real GDP cuts the unemployment rate to 3.0%, shown by point 5 in Panel (b). Policy makers act to increase aggregate demand in order to move the economy out of a recessionary gap created during a stagflation phase. Here, aggregate demand shifts to AD4, boosting the price level to 1.09 and real GDP to $1,060 billion at point 5 in Panel (a). The increase in real GDP reduces unemployment. The price level has risen, but at a slower rate than in the previous period. The result is a reduction in inflation. The new combination of unemployment and inflation is shown by point 5 in Panel (b). Policies that stimulate aggregate demand and changes in expected price levels are not the only forces that affect the values of inflation and unemployment. Changes in production costs shift the short-run aggregate supply curve. Depending on when these changes occur, they can reinforce or reduce the swings in inflation and unemployment. For example, Figure 16.4 "Connecting the Points: Inflation and Unemployment" shows that inflation was exceedingly low in the late 1990s. During this period, oil prices were very low—only $12.50 per barrel in 1998, for example. In terms of Figure 16.7 "A Stagflation Phase", we can represent the low oil prices by a short-run aggregate supply curve that is to the right of SRAS4,5. That would mean that output would be somewhat higher, unemployment somewhat lower, and inflation somewhat lower than what is shown as point 5 in Panels (a) and (b) of Figure 16.8 "The Recovery Phase". Comparing the very late 1990s to the early 2000s, Figure 16.4 "Connecting the Points: Inflation and Unemployment" shows that both periods exhibit Phillips phases, but that the early 2000s has both higher inflation and higher unemployment. One way to explain these back-to-back Phillips phases is to look at Figure 16.6 "A Phillips Phase". Assume point 1 represents the economy in 2001, with aggregate demand increasing. At the same time, though, oil and other commodity prices were rising markedly—tripling between 2001 and 2007. Thus, the short-run aggregate supply curve was also shifting to the left of SRAS1,2,3. This would mean that output would be somewhat lower, unemployment somewhat higher, and inflation somewhat higher than what is shown as points 2 and 3 in Panels (a) and (b) of Figure 16.6 "A Phillips Phase". The 2000s Phillips curve would thus be above the late 1990s Phillips curve. While the Phillips phase of the early 2000s is farther from the origin than that of the late 1990s, it is noteworthy that the economy did not go through a severe stagflation phase, suggesting some learning about how to conduct monetary and fiscal policy. The recession that began in late 2007 is largely seen as a shift to the left in aggregate demand due to the marked fall in housing prices and financial market stresses. As a result, the economy went through a Phillips phase of higher unemployment and lower inflation. The expansionary monetary and fiscal policies of the late 2000s were geared toward pushing the aggregate demand curve back toward the right, thereby cajoling the economy back up the negatively sloped short-run Phillips curve. We can conclude that policy efforts to change aggregate demand, together with changes in expectations and a wide variety of factors that cause the aggregate demand or aggregate supply curve to shift, have played an important role in generating the inflation-unemployment patterns we observe in the past half century. Lags have played a crucial role in the cycle as well. If policy makers respond to a recessionary gap with an expansionary fiscal or monetary policy, then we know that aggregate demand will increase, but with a lag. Policy makers could thus undertake an expansionary policy and see little or no response at first. They might respond by making further expansionary efforts. When the first efforts finally shift aggregate demand, subsequent expansionary efforts can shift it too far, pushing real GDP beyond potential and creating an inflationary gap. These increases in aggregate demand create a Phillips phase. The economy’s correction of the gap creates a stagflation phase. If policy makers respond to the stagflation phase with a new round of expansionary policies, the initial result will be a recovery phase. Sufficiently large increases in aggregate demand can then push the economy into another Phillips phase, and so on. If we follow the cycle shown in Figure 16.4 "Connecting the Points: Inflation and Unemployment", we see that the three Phillips phases that began in 1961, 1972, and 1976 started at successively higher rates of inflation. Fiscal and monetary policy became expansionary at the beginnings of each of these phases, despite rising rates of inflation. To be sure, the stellar economic performance of the United States in the late 1990s was due in part to falling oil prices, which shifted the short-run aggregate supply curve to the right and helped push inflation and unemployment down. But it seems clear that a good deal of the credit can be claimed by the Fed, which paid closer attention to the lags inherent in macroeconomic policy. Ignoring those lags helped create the inflation-unemployment cycles that emerged with activist stabilization policies in the 1960s. What factors determine the inflation rate? The price level is determined by the intersection of aggregate demand and short-run aggregate supply; anything that shifts either of these two curves changes the price level and thus affects the inflation rate. We have seen how these shifts can generate different inflation-unemployment combinations in the short run. In the long run, the rate of inflation will be determined by two factors: the rate of money growth and the rate of economic growth. Numerous studies point to the strong relationship between money growth and inflation, especially for high-inflation countries. Figure 16.9 "Money Growth Rates and Inflation over the Long Run" is from a recent study by economist John Thornton. It is based on a sample of 116 countries from 1960 to 2007. Panel (a) includes all 116 countries, while Panel (b) excludes 6 outlier countries with inflation rates ranging from 200% to more than 850%. While the relationship is clearly not precise, the graphs suggest support for the quantity theory of money. A more detailed statistical analysis shows that when the annual inflation rate averages more than 10%, the relationship seems to hold. 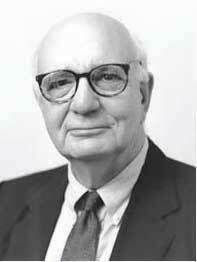 The Thornton study uses currency as the monetary aggregate because the definitions of M1 and M2 are not stable across such a wide sample of countries over long periods of time.John Thornton, “Further Evidence on Money and Inflation in the Long Run,” Applied Economics Letters 18 (2011): 1443–447. 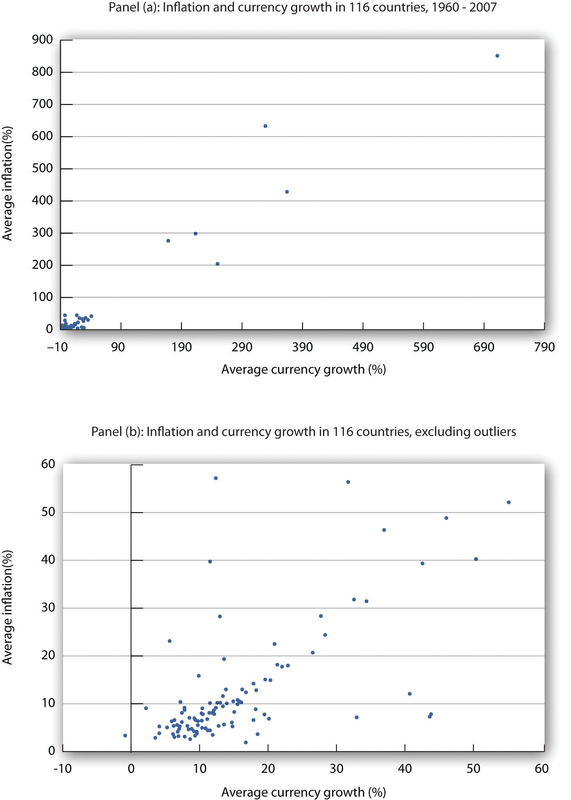 Data for 116 countries from 1960 to 2007 suggest a positive relationship between the rate of money growth and inflation. Source: John Thornton, “Further Evidence on Money and Inflation in the Long Run,” Applied Economics Letters 18 (2011): 1443–447. Economists distinguish three types of unemployment: frictional unemployment, structural unemployment, and cyclical unemployment. The first two exist at all times, even when the economy operates at its potential. These two types of unemployment together determine the natural rate of unemployment. In the long run, the economy will operate at potential, and the unemployment rate will be the natural rate of unemployment. For this reason, in the long run the Phillips curve will be vertical at the natural rate of unemployment. 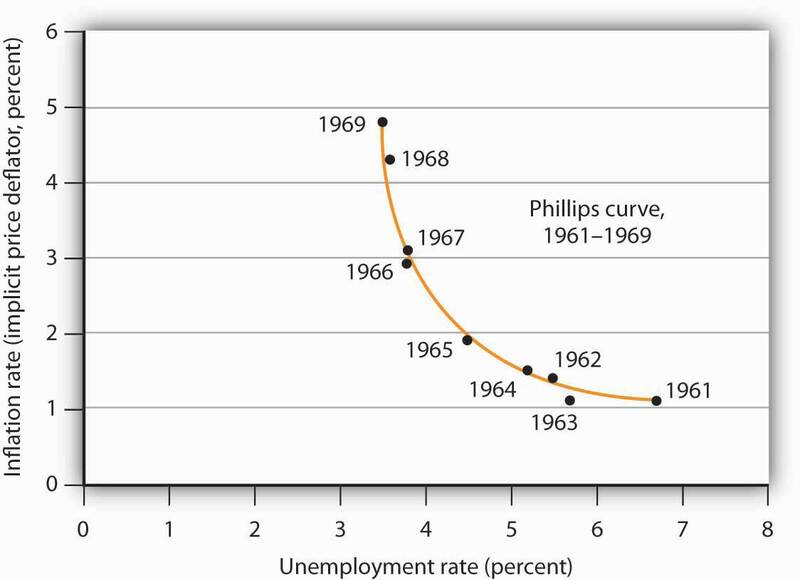 Thus, the long-run Phillips curveA vertical line at the natural rate of unemployment, showing that in the long run, there is no trade-off between inflation and unemployment. is a vertical line at the natural rate of unemployment, showing that in the long run, there is no trade-off between inflation and unemployment. 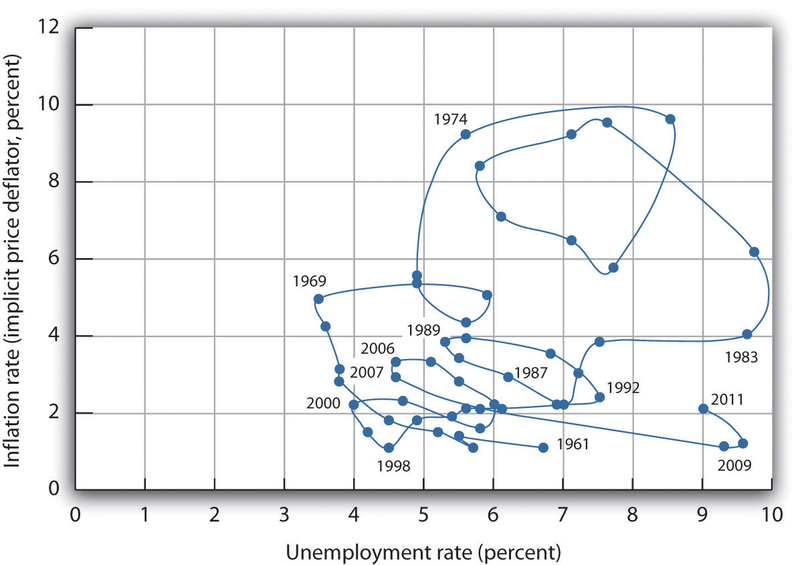 Figure 16.10 "The Phillips Curve in the Long Run" explains why. Suppose the economy is operating at YP on AD1 and SRAS1. Suppose the price level is P0, the same as in the last period. In that case, the inflation rate is zero. Panel (b) shows that the unemployment rate is UP, the natural rate of unemployment. Now suppose that the aggregate demand curve shifts to AD2. In the short run, output will increase to Y1. The price level will rise to P1, and the unemployment rate will fall to U1. In Panel (b) we show the new unemployment rate, U1, to be associated with an inflation rate of π1, and the beginnings of the negatively sloped short-run Phillips curve emerges. In the long run, as price and nominal wages increase, the short-run aggregate supply curve moves to SRAS2 and output returns to YP, as shown in Panel (a). In Panel (b), unemployment returns to UP, regardless of the rate of inflation. Thus, in the long-run, the Phillips curve is vertical. A worker’s reservation wage is likely to change as his or her search continues. One might initiate a job search with high expectations and thus have a high reservation wage. As the job search continues, however, this reservation wage might be adjusted downward as the worker obtains better information about what is likely to be available in the market and as the financial difficulties associated with unemployment mount. 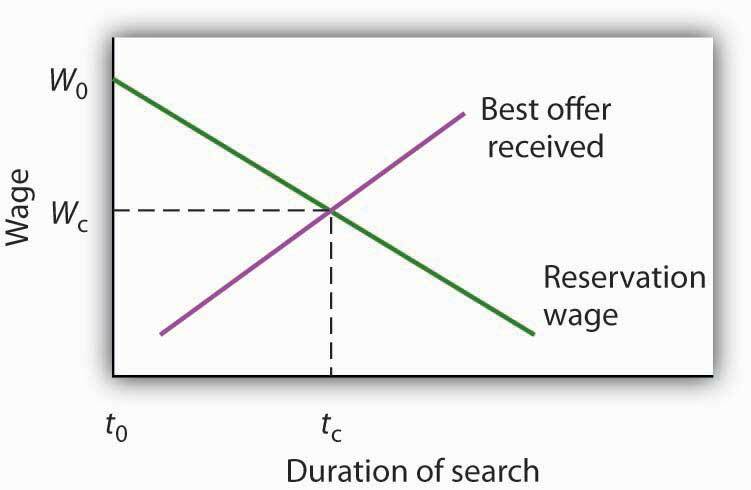 We can thus draw a reservation wage curve (Figure 16.11 "A Model of a Job Search"), that suggests a negative relationship between the reservation wage and the duration of a person’s job search. Similarly, as a job search continues, the worker will accumulate better offers. The “best-offer-received” curve shows what its name implies; it is the best offer the individual has received so far in the job search. The upward slope of the curve suggests that, as a worker’s search continues, the best offer received will rise. The job search model in Figure 16.11 "A Model of a Job Search" does not determine an equilibrium duration of job search or an equilibrium initial wage. The reservation wage and best-offer-received curves will be unique to each individual’s experience. We can, however, use the model to reach some conclusions about factors that affect frictional unemployment. First, the duration of search will be shorter when more job market information is available. Suppose, for example, that the only way to determine what jobs and wages are available is to visit each firm separately. Such a situation would require a lengthy period of search before a given offer was received. Alternatively, suppose there are agencies that make such information readily available and that link unemployed workers to firms seeking to hire workers. In that second situation, the time required to obtain a given offer would be reduced, and the best-offer-received curves for individual workers would shift to the left. The lower the cost for obtaining job market information, the lower the average duration of unemployment. 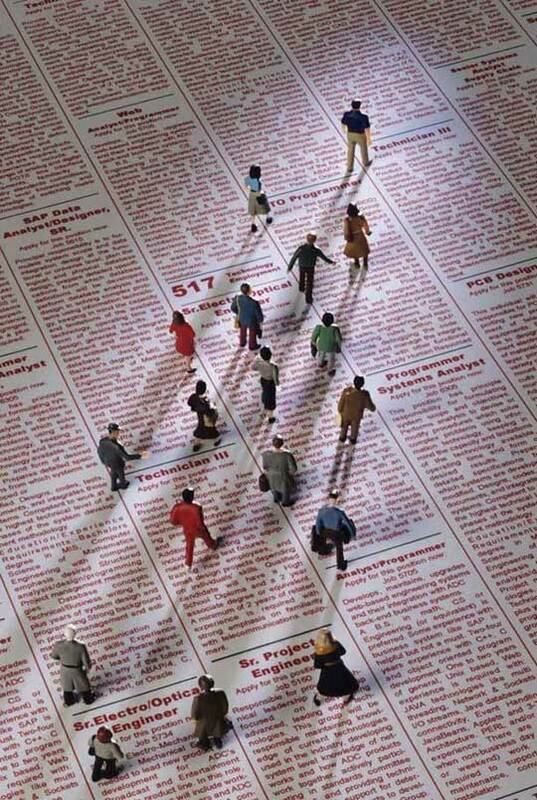 Government and private agencies that provide job information and placement services help to reduce information costs to unemployed workers and firms. 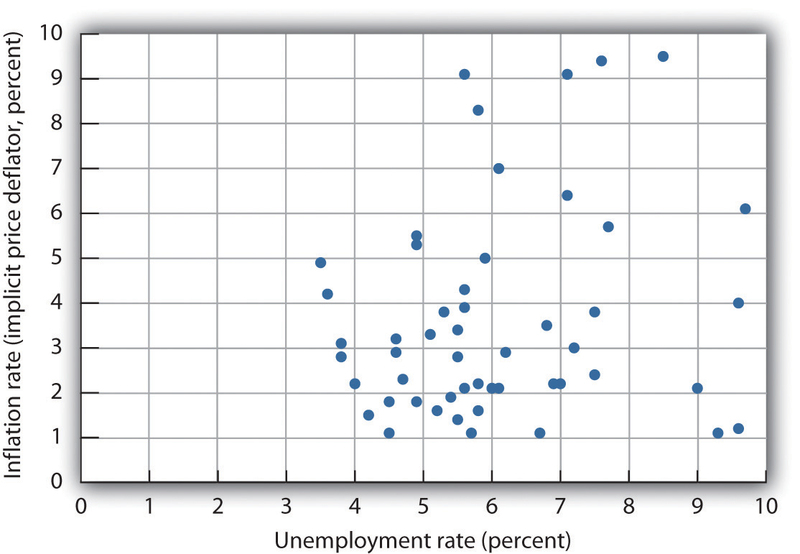 They tend to lower frictional unemployment by shifting the best-offer-received curves for individual workers to the left, as shown in Panel (a) of Figure 16.12 "Public Policy and Frictional Unemployment". Workers obtain higher-paying jobs when they do find work; the wage at which searches are terminated rises to W2. The duration of an unemployed worker's job search increases in situation (1), as illustrated in panel (a) and decreases in situations (2) and (3), as illustrated in panels (b) and (c) respectively. Thus, the unemployment rate increases in situation (1) and decreases in situations (2) and (3).